Sometimes, there’s nothing more satisfying than a good salad. Salads make stars out of basic ingredients, and highlight their qualities, their flavors, their freshness and versatility. There’s a salad out there for everyone and for all occasions. Whether it’s a quickly tossed together green salad of crisp, plump leaves, or a carefully constructed classic lunchtime salad, like a caesar or nicoise, they are dishes which rely on the qualities of basic ingredients, and demonstrate the importance of balance and taste. As we become more conscious about nutrition, and more open as a culture to experimentation with raw, high-quality ingredients, salads are once again taking center stage at fine restaurants and in domestic kitchens around the world. As the humble salad is further and further elevated as a dish, and is no longer a mere side, we must ask the question: how do we pair wine with salads? To ask how to pair wine with salad is a little like asking how to pair wine with meat, or which wine goes with vegetables. The question is too broad, and in order to find the heavenly matches we’re after, we need to think on far more specific terms. Salads come in literally thousands of different forms – some are based on creams and mayonnaises, others feature fish, cheese, tomato, or all manner of meats from duck breast to fillet steak. 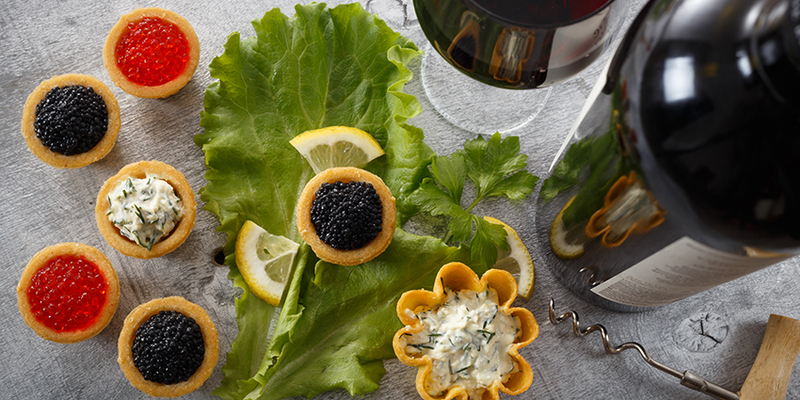 In order to think of an effective wine and salad pairing, we must firstly consider the dominant flavors present in the dish, and think about how these can harmonize with our wine, without one dominating the other. 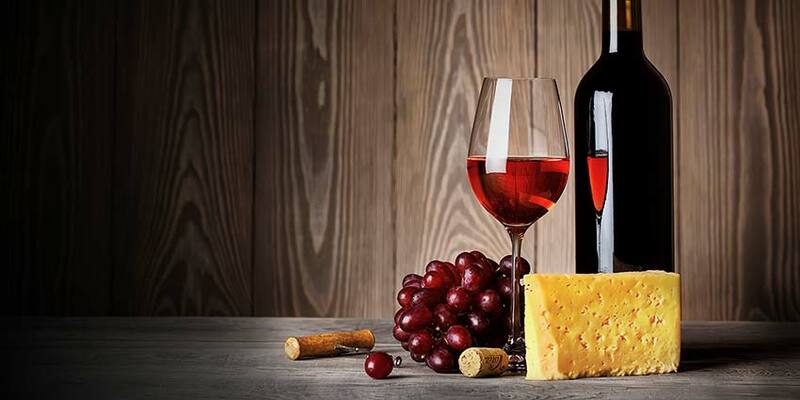 The idea fundamental to food and wine pairing is to ensure that the flavors of the food are not obliterated by the strength and body or acidity of the wine, and neither does the taste or texture of the dish render the wine useless and weak on the palate. As a general rule, most salads will require a lighter bodied wine. Aged and complex red wines will be far too heavy and tannic in the mouth to pair comfortably with almost any salad, and full bodied white wines tend to become flabby and unpleasant when drank alongside leaves and raw foods. As such, we’ll need to stick with the lighter, brighter, zestier side of the wine list, to make sure all those fresh flavors stay intact and pleasing on the tongue. The other main thing to consider, before we look at some classic examples, is the dressing. 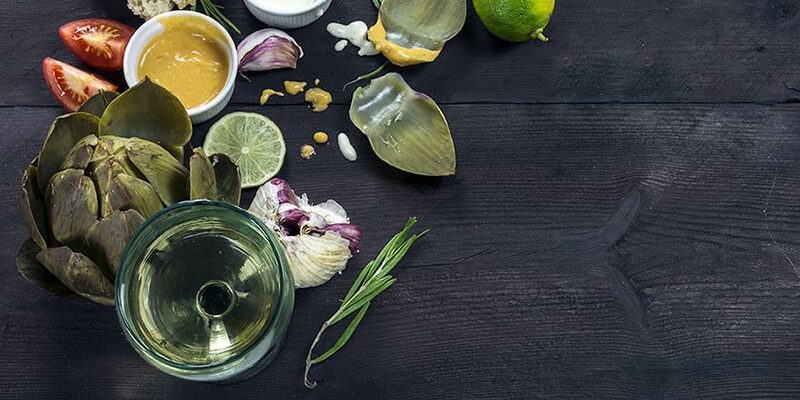 Most dressings are based on a combination of oil, mustard or vinegar – strong, acidic flavors which work brilliantly when tossed through leaves and tomatoes etc, but which a lot of wines would really struggle to come up with. Many wines are acidic, but the acetic acids in vinegars are far brighter and more piquant than those found in most wines. Bring the wrong combination together in your mouth, and your wine is going to taste flat and dull in comparison – not the result we are looking for. Let’s have a look at a few classic salads, and explore which wines work best alongside the key ingredients and typical dressings found therein. A great classic – beautifully charred chicken breast, crisp leaves, crunchy croutons and that delightfully sharp anchovy dressing. Who doesn’t love a Caesar salad? This is a dish which pairs with a wide varieties of white wines, and I think it is one of the few classic salads which is best served with something that has a bit of body and oak to it. A good, oaked Sauvignon Blanc is the quintessential pairing here, and a nicely rounded Chardonnay would work brilliantly, too. If you want to go for something a little different, try one of the dry rose wines from France’s famed Loire Valley. This will bring out the best in the dressing, and is the very essence of light, breezy summer al fresco dining. For me, Greek style salads are where it is at. The salty, oily unctuousness of a good handful of olives, complemented by some crumbly, sharp feta cheese and a load of crisp salad leaves is truly irresistible. Greek salads are all about big flavors, and are usually served with a simple olive oil dressing which doesn’t complicate the principal ingredients. Personally, I like to match these salads with a Gruner Veltliner. I love the mineral hit you get off these beautifully clear Austrian wines. But, if you want a really classic and authentic combination, go for the Assyrtiko wines everyone’s talking about these days. This pairing is absolutely delicious! There are few things more summery than a classic seafood salad. Fresh crab meat, shrimps or scallops tossed through leaves is a truly heavenly thing, perfect for a warm day near the sea. However, this type of salad is the one which, when it comes to wine pairing, depends enormously on the dressing. If the shellfish is the dominant flavor (which in my opinion, it should be) then go for one of the renowned seafood-pairing wines. Albarino is my go-to wine for crab at the moment, as I love its lightness and its gentle touch of brine. These types of salads are sometimes served with a thousand island type dressing – if this is the case, I think you can’t go wrong with a Riesling, which brings bags of fresh zestiness to the table. When enjoying a well made Nicoise salad, I think you can’t do much better than the denizens of Nice, from where the dish originates. Serve it with a lovely, pale pink rose wine from Provence. These wines are the ultimate palate cleanser, and work gorgeously with the saltiness of the tuna. Salads which feature warm slices of game breast, or the rich flavors of chicken livers are a real winner in my household. In these dishes, the meat is really the star attraction – pink and tempting, and utterly irresistible. 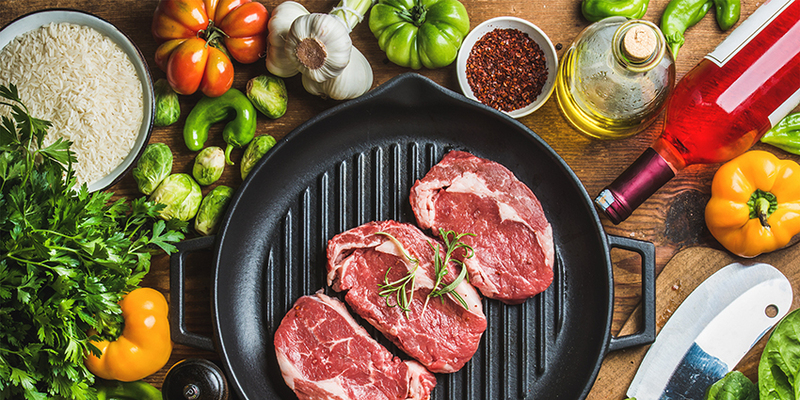 However, we’ll want a wine which holds its own against the depth of flavor from the meat, and yet doesn’t overpower the other features of the salad. 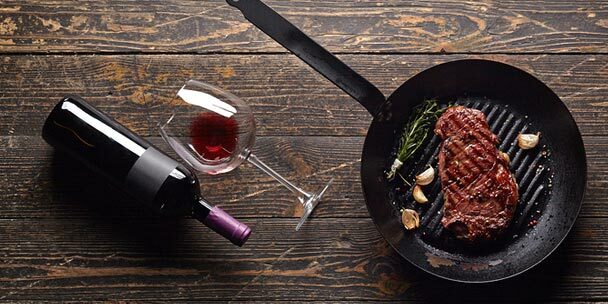 What could be better with duck or pigeon than the ever-versatile Pinot Noir or Burgundy? Soft and ripe, juicy and plump, I can’t think of a finer pairing. How do you pair wine with salad? Let’s hear it down in the comments below. Which Canadian cool wine growing area would you suggest for the same salads?